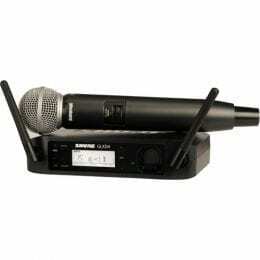 Shure DMK57-52 Drum Mic Kit for Live Settings with (4) XLR to XLR Cables 15FT Ea and (2) Mircrophones Stand. 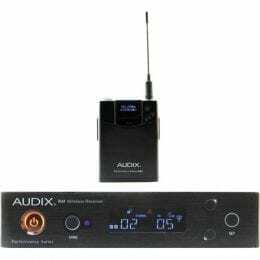 Bundled together into a Kit for your convenience, this package—centered around the Shure DMK57-52—gives you the necessary mics for reinforcing drums in a small- to medium-sized live venue. 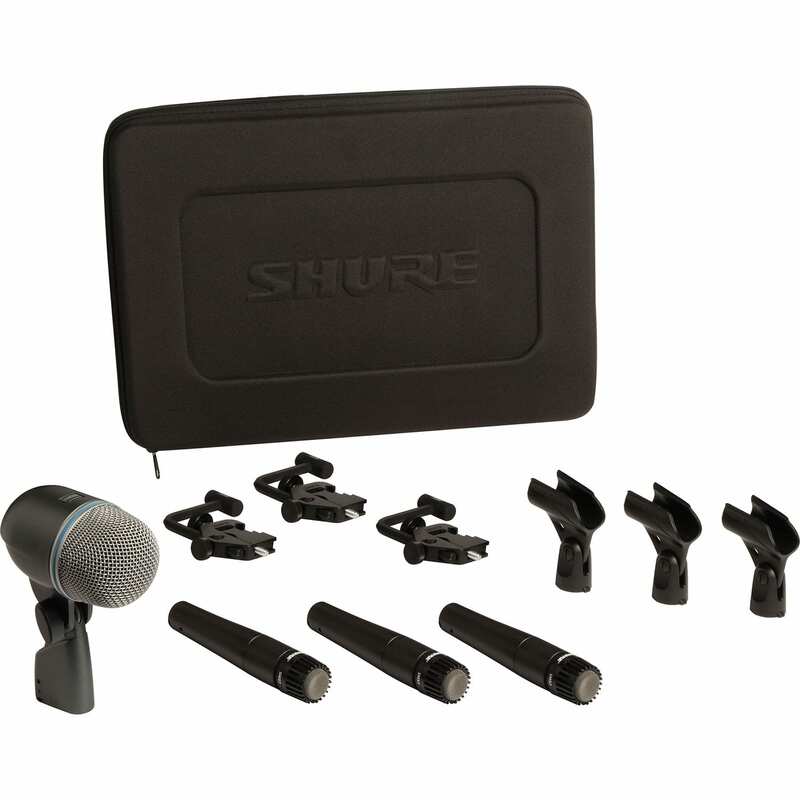 First, you’ll find Shure’s DMK57-52 kit, which provides three SM57 dynamic microphones, one Beta 52A mic for the kick drum, and all the necessary drum mounts. 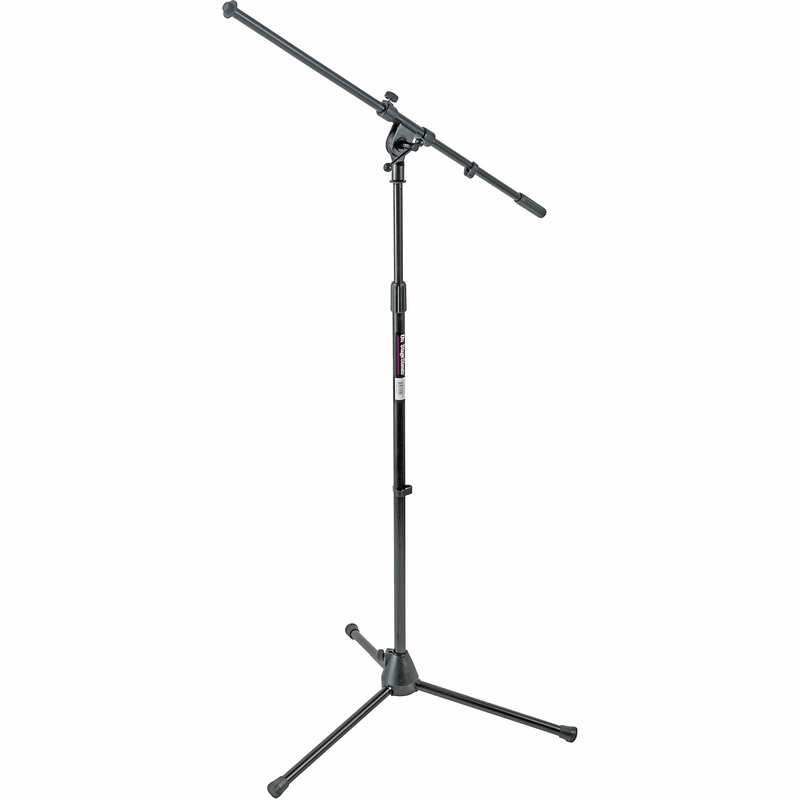 Then you’ll note the portable, collapsible boom stand with a height range of 22.1 to 31.5”. This stand, sporting durable steel construction and non-slip feet, can be used to place and secure the kick-drum mic. 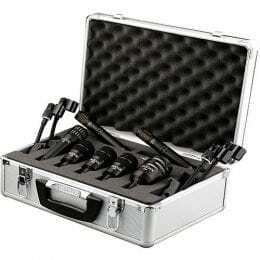 Finally, you’ll make use of four XLR cables; these have been provided for routing sound from the mics to the house PA. The Shure DMK57-52 Drum Microphone Kit is a cost effective microphone kit that includes everything needed for capturing drums and percussion in live sound and recording applications. 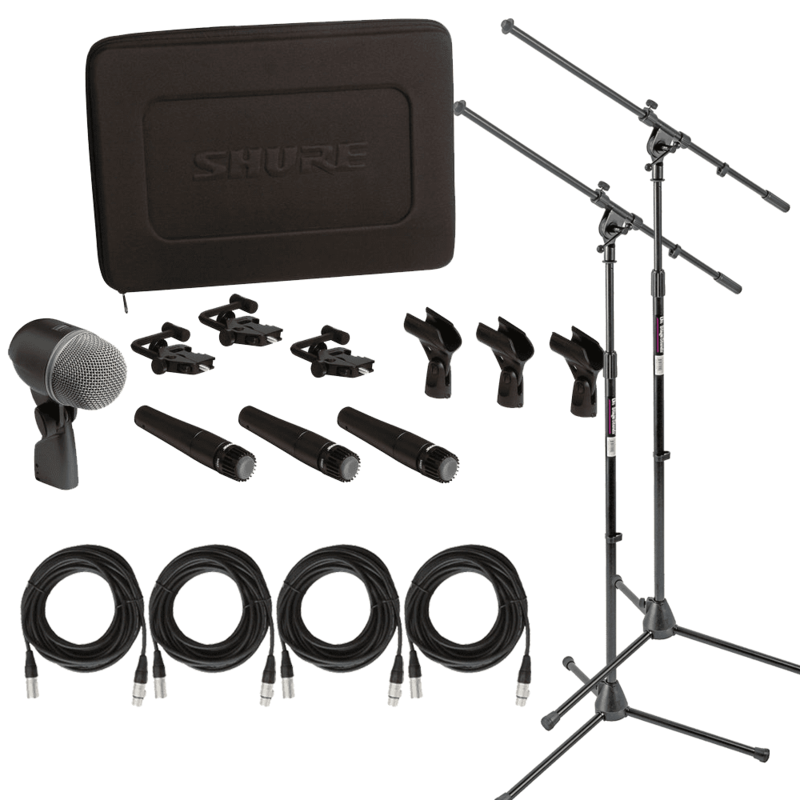 The kit includes three Shure SM57 dynamic cardioid microphones, a Beta 52A kick drum microphone and three A56D universal drum mounts. 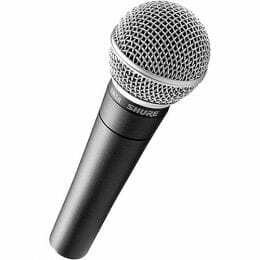 The SM57A cardioid dynamic microphones are popular with recording and live sound engineers. 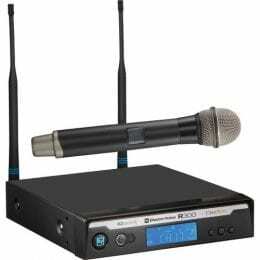 The microphones are well suited for capturing snare, toms, conga, bongos, timbales, cymbals, overheads and more. The Beta 52A features a tailored frequency and sensitivity response for accurate reproduction of kick drums, floor toms, timpani and other low-frequency producing percussion instruments. The A56D universal mounts are rugged and effectively mount the SM57’s to drum and percussion rims, hardware, etc. The entire kit is designed to withstand the rigors of life on the road, in the studio or at home. The dynamic SM57 microphones feature a cardioid polar pattern and are favored by engineers for overhead, snare, tom, timbales, conga, and bongo capturing. 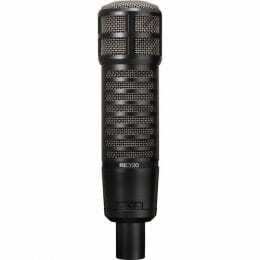 The Beta 52A is a rugged kick drum microphone designed to accurately reproduce the low-frequency characteristics of kick drums, floor toms, djembe and more. 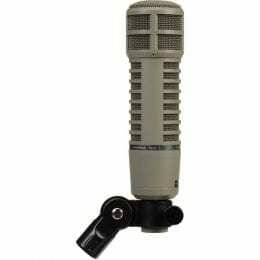 The A56D is a universal drum mountable microphone clip. The A56D is designed to mount onto rims, eliminating the need for bulky stands. 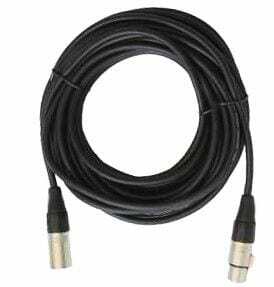 Box Dimensions (LxWxH) 17.3 x 12.7 x 4.2"
(4) XLR to XLR Cables 15Ft.